The Bill & Melinda Gates Foundation is renowned for helping people lead healthy, productive lives. And at its headquarters in Seattle, the foundation encourages its employees to adopt healthy transportation and commuting habits.All full-time commuters at the foundation benefit from an internal transportation program. 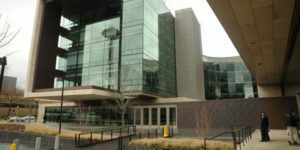 Established in 2011 by Bree Moore, the foundation’s transportation and life safety program administrator, the program has likely contributed to the decline in traffic in downtown Seattle. In 2010, 88 percent of employees at the Bill & Melinda Gates Foundation drove alone to their jobs. Within one year of the new program, that number dropped to 42 percent and continues to decrease. Adjusting that drive-alone rate didn’t happen magically. It took time to educate staff about their transportation options, and implement incentives that would motivate them to change their commute behavior. “First we set goals, then we gave our employees the flexibility to choose how they travel to and from work each day. There are a lot of [employer programs] that do not or are not in the position to provide all the information and the choices we offer our employees,” Moore said during a recent webinar co-sponsored by the Association for Commuter Transportation and Best Workplaces for Commuters.